Then you actually "reset" your password (even if it was the same as before). The highlighted text boxes are for changing your password. 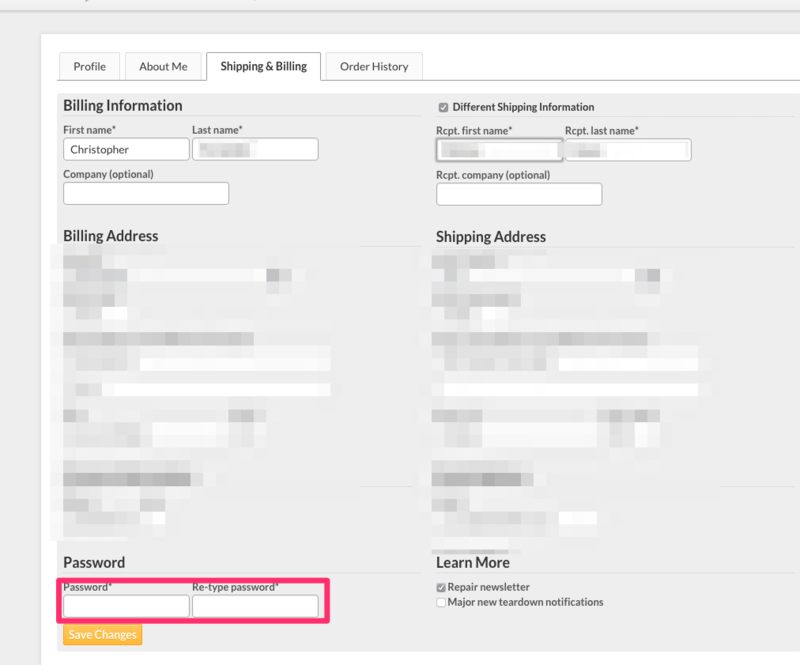 Entering your password is not required to update your billing and shipping information.